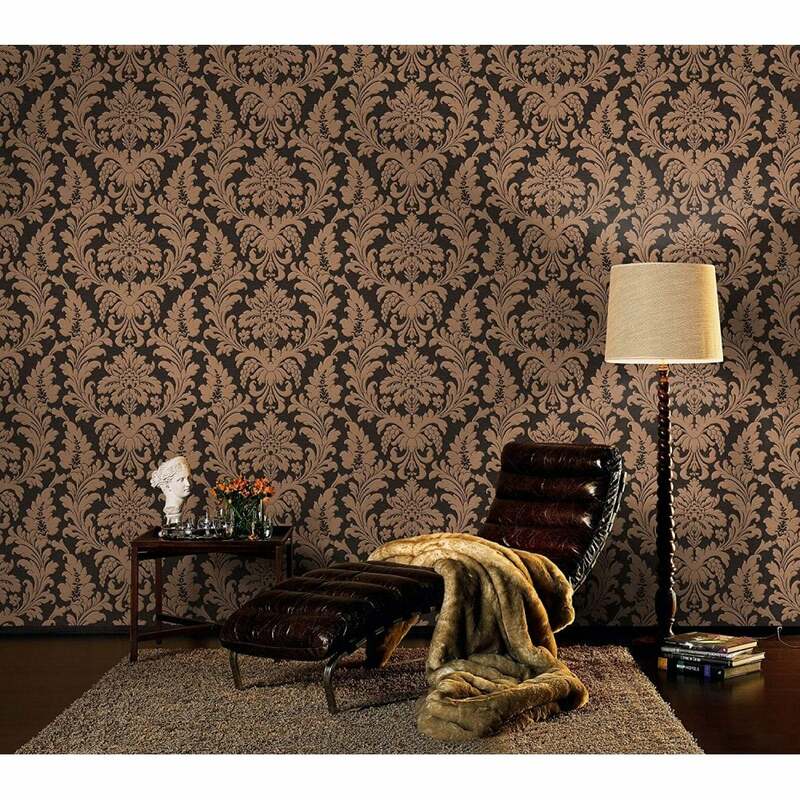 New from Rasch comes this stunning damask pattern wallpaper which is perfect addition to any room design. Choose this wallpaper to add a touch of glamour with this beautiful damask print wallpaper in Black Gold Taupe colour scheme. This wallpaper is made of high quality vinyl wallpaper which will allow to apply wallpaper on the wall easily.